Montana, Big Sky Country, is renowned for its huge mountains, clear streams, rolling hills and Western style. That is why Montana is the perfect place to finish a round of golf. 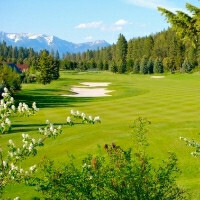 Take the famous Flathead Valley, for instance, with many golf paradises to choose from. The region is one of America’s fastest growing golf areas because of the Flathead’s amazing beauty. Use our Golfing in Montana page to find information about golf courses in the Flathead Valley and other areas of Montana. The Flathead Valley in northwest Montana will satisfy any golfer’s swing, whether novice or low handicapper, with nine championship courses all within a 45-minute drive. 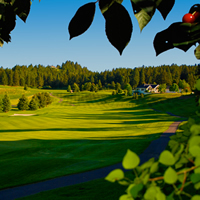 The Flathead Valley is dotted with some of the U.S.A.’s top golf courses and clubs. Located right next to Glacier National Park in northwest Montana, Glacier View Golf Course embraces the elegance of nature. In an area filled with world-class golf courses, Village Greens Golf Club is always in great condition.